Mortgage insurance is an added expense homeowners pay to help protect lenders. 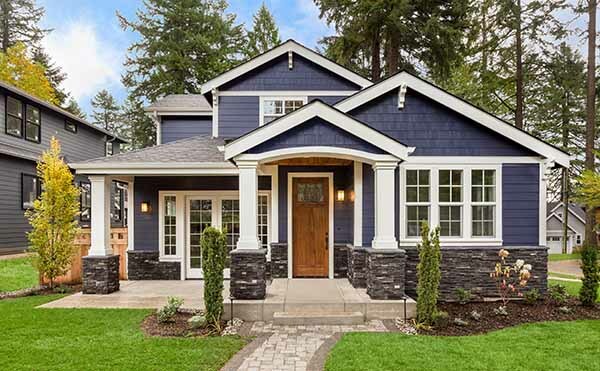 If you don’t put 20 percent down on a conventional loan or if you choose an FHA or USDA loan, you will be required to pay some kind of mortgage insurance to the lender. Mortgage insurance is there to help the lender – not the homeowner — with any losses just in case a borrower can’t pay the loan back. Typical payments will be monthly with an upfront fee required at closing. PMI also applies to those who don’t have a home equity percentage of 20 percent in their house when they are getting a refinance loan, says Christian Durland, senior mortgage loan officer at CMG Financial in Greenwood Village, Colo.
“Mortgage insurance is unavoidable on the government side of things (except VA loans), too. Everyone has to pay in the pool. That’s how those loans continue on,” he said. However, there are ways to avoid needing pay mortgage insurance with some mortgage types. FHA borrowers have what is called Mortgage Insurance Premiums (MIP). They first are charged 1.75 percent of the loan upfront at closing. Then, an annual MIP fee of about .85 percent of the borrowed amount is charged, usually paid monthly for the life of the loan. Also, you don’t stop paying MIP if you finally pay off 20 percent of your home’s value. You either need to refinance to a conventional loan or sell the house. Conventional loans use a different type of mortgage insurance called private mortgage insurance (PMI). Your PMI rate varies based on your loan-to-value ratio – which is the amount you owe on your mortgage compared to its value – and your credit score. Those required to pay PMI can expect to pay between $30 and $70 per month for every $100,000 borrowed. While the extra monthly payments aren’t fun, they allow people to get into a house sooner that it would take to save up for a 20 percent downpayment. For conventional loans, making a 20 percent downpayment will remove the necessity for PMI.But people really need to examine their own finances and see whether unloading all of their savings into a down payment is a smart move compared to putting down a less amount and paying PMI, Durland said. Click for today’s refinance rates. This is a useful way of avoiding mortgage insurance payments, but it only works if you stay in your home or your loan for three years, he says. For example, if the loan amount is $250,000 and you only put 5 percent down — $12,500 — PMI would cost 2.5 percent, or $6,200. Durland states that every loan company can do a single premium policy, but there are misconceptions about it in the loan industry. Not all conventional loans will require PMI even if you have a downpayment smaller than 20 percent. These mortgages will more than likely require a higher mortgage rate depending on the current market, your credit score, the size of your downpayment amount and the lender. Be careful before choosing these types of mortgages and talk with a tax advisor before doing so. Some lenders will pick up the cost of PMI. Instead of PMI, the lender charges a higher mortgage rate than the buyer putting 20 percent down. Depending on the lender paid PMI option, the payment could be lower than with buyer paid PMI, and the larger amount of interest paid is tax-deductible. While this option could mean saving up for a while longer, it makes it so you can get a conventional loan that doesn’t require mortgage insurance as has low mortgage rates. If you qualify to get a VA loan, most lenders and finance experts would tell you to go in that direction. The VA loan offers a number of benefits like not requiring a downpayment and lower closing costs. Plus, the VA loan doesn’t charge any PMI because the government agency is guaranteeing the loan itself. If the borrower has 10 or 15 percent down, they can then take out a second loan to make up that 20 percent down. But remember that you’ll be paying two loans off each month. “Most the time now, a single premium loan will outperform two loans every day. I show borrowers the single premium option, and it stops the piggyback options dead in their tracks,” he says.